The strange thing about Pompei is that, barring being buried intact, it was a pretty normal town. The single circumstance of its destruction is what made it so uniquely famous compared to all the other Roman towns that followed the same layout and construction. The Romans had water flowing down their streets to keep them clean, so at regular intervals you find stepping-stones for street crossing. Roman streets had marble chips embedded in them to act as cat’s eyes. Houses were a riot of colour. One of the great things about Pompei is that you can still see so much colour on the walls both inside and outside the buildings. We had completely misinterpreted Vesuvius. We thought what is left today was largely the same as what was there before the 79AD eruption. It turns out there was almost as much again on top. When the Mountain blew its top, there wasn’t much top left afterwards. Much of the Roman architecture was designed to be both beautiful and practical. There was a focus on all citizens living a good life and the public and private areas reflected this. Romans did not die from lead poisoning from their pipes. They did indeed use lead pipes but the continually flowing hard water meant they were coated with lime and so did not transmit the lead to people drinking the water.. In its time, Pompei was the last major sea port before Rome and so it was a cosmopolitan town filled with travellers, sailors and traders. Walking down its streets today you really do get a very real sense of what it must have been like to travel there at the height of the Roman Empire. It also makes you feel very close to the tragedy that engulfed the town in 79. Because you are wandering about imagining people living in the amazingly intact buildings, it really brings home what a disaster it was when that life came to an abrupt and final end. Of course the totally evocative thing is the casts of bodies – absolutely perfect down to the details of their clothes and expressions. 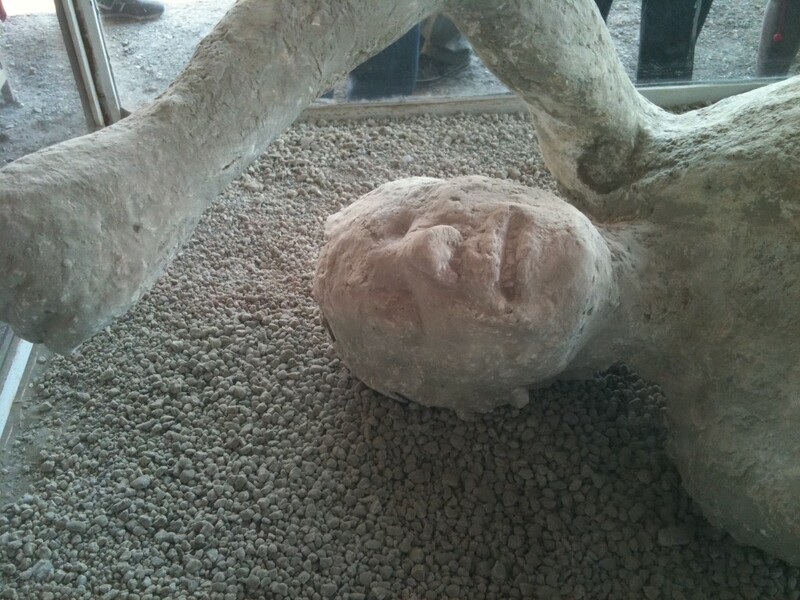 Yes, all this reminds me of my visit to Pompeii back in September 2006, before climbing Mt Vesuvius the next day. Thanks for the photo’s as I ran out of time & missed a few things. And yes those plaster casts of the Pompeians at the moment of their deaths are rather poignant. Also as an astrologer I am fascinated by the astrology of this famous day in world history that has left such a legacy to the world of life as it was in ancient times. most common items sold at a garage sale.